What’s up folks! It’s 16th of December and it should have been cold as a stone by now but climate change. Anyways that’s no reason to keep you disappointed, here’s me coming at you with your tech news dosage. This week’s roundup covers Amazon Prime Video coming to India, Google’s new OS for IoT gadgets, Skype bringing real-time translations to mobile calls, Slack announcing one of their most awaited features, Instagram bringing Live Video and some big Pokémon Go news for India. Without wasting any more time, let’s get started. 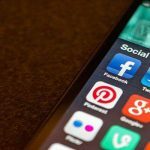 A while back Instagram’s parent company, facebook launched Live Videos and it took the internet by storm. This week the company extended the same feature to Instagram and made Live Videos available to everybody in the US. The Live features live inside Instagram Stories, and you can get to them by swiping into the stories camera and then hitting the Live toggle. Live Videos aren’t stored on your Instagram feed or Stories, so your followers will only be able to watch them when you’re actually streaming it, this is the key difference between the Facebook Live feature and the one on Instagram. The feature will be rolling out to users in the next few days with a global rollout expected soon. Don’t get me wrong, but before Whatsapp or Hangouts, Skype was the medium we used to connect to our NRI relatives (only specific to India here) but slowly with the launch of other better options Skype kinda faded in the background due to lack of great features. Last year when Skype previewed the Translator, it blew people’s mind and showed that the app still had promise. 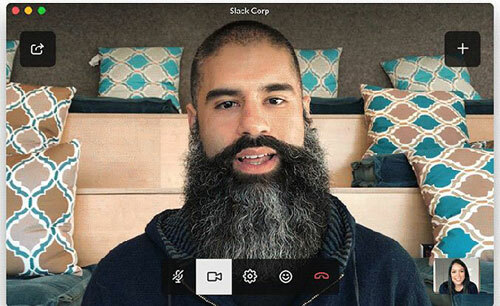 To up its game a notch, Skype launched their translation on real time mobile calls this week. Previously, the translation feature, which began rolling out to users back in 2014, only worked for Skype-to-Skype calls. All you need is 3 things, you need to be signed up for the Windows Insider Program, the latest beta of Skype, and some Skype credits. The translation will work just like it does with regular Skype calls. You bring up the dialer, toggle the switch marked “Translate,” and then select the languages. When the person on the other side picks up, they’ll be played a message telling them the call is being recorded and translated. The rest of the call will take place with short delays waiting for the conversation to be translated. It’s currently available in the following languages with more coming soon, English, Spanish, French, German, Chinese (Mandarin), Italian, Portuguese (Brazilian), Arabic, and Russian. It’s remarkable where machine learning and AI has gotten in the past few years and this feature certainly owes some credit to that. Content consumption has swiftly moved from DVD rental to the online realm with on-demand content. Netflix and Hulu have been on the forefront of the game and with their ongoing expansion to more and more countries, this industry is blossoming. India has always been a key marker for every tech industry, with populations of over a billion people, most of them being the internet connected youth, it’s foolish for a company not to look to the east (ahem Spotify). Lately, a lot of on-demand vendors have stepped into the Indian subcontinent with the likes of Netflix and Google. Another big player arrived here this week and it’s Amazon. With their Prime offering launched in the month July, Amazon has quickly grown to be the most popular e-commerce brand in India, with sales beating the numbers of locals like Flipkart and Snapdeal combined. This week, Amazon launched their Prime Video service in India, along with 200 other countries. This service will be free for Prime package subscribers which already gives faster delivery times and discounts on the e-commerce site. As of now, Amazon is offering the service at a 50 percent discount for the first 6 months to encourage new sign-ups with a seven day trial available at no cost. In the terms of Indian pricing, it’s priced at Rs. 499 a year which is 1/10th the price you pay for a Netflix subscription. But this pricing may go upto Rs 999 a year as the above is just a promotional offer. The content will be available via the Android or iOS app on mobile. Slack is a tool for teams to manage tasks and collaborate. Last week we covered the new partnership between Slack and Google Cloud Platform and how it will enhance the interweaving of both services. Slack has done very well in the past few years but recently it’s been facing competition from companies like Microsoft and Facebook. To stay ahead of the curve, Slack just announced video calling to give its 4 million users a treat right in time for Christmas. This feature is a direct move to pick users away from Skype and Gmail. The company says that the feature will be first available on the Slack app for Mac and Windows and on Google Chrome. For mobile users, they’ll be able to receive the calls but will experience it as audio only. The feature will work as expected, with a tap of a button. Slack has recently been seeing some drop off in its still large user base. This feature could help bring them and some new ones back on the platform. In recent years IoT has been an area of Innovation where a lot of companies have been seriously investing in. To name a few, Intel, Microsoft, Apple. 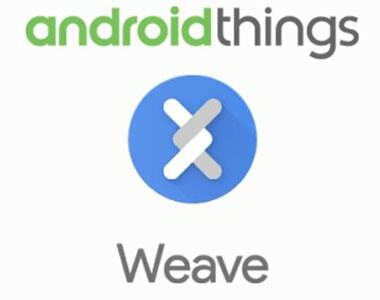 Google had been a little slow to the game but they announced Brillo and Weave for IoT back in the 2015 Google I/O. This week, the search giant just doubled down on their commitment to IoT with the launch of a new OS. Android Things. Google wants to put Android on the next wave of devices that’ll be filling up your home. Here we are talking about the game again. After waiting for almost 6 months, Niantic finally released Pokémon Go in India and South Asia. According to the company, they had to solve some administrative challenges before launching the game here. The continued expansion comes at a busy time for the game. Just a few days ago Niantic announced they’re adding a new wave of Pokémon to the game. 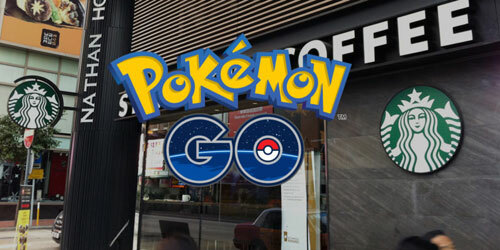 The game has been launched in partnership with Reliance Jio and as a partnership, all Reliance Digital Stores and the company’s select premises will appear as Pokestops or Gyms. I am most excited about the instagram live video feature, as it looks promising on facebook too! Other then that, Pokemon Go is always fun to play and if it partners woth Jio, things will get better for everyone! Thanks for sharing the upcoming technology information. It is useful and informative. Great news for users. Thanks for this useful information, this will help me a lot.